Do you offer delivery without planting? You can have your trees delivered and plant them yourself. You will be charged a delivery fee based on your location. We will schedule a time for delivery and send an email one week in advance with a time and date. We ask that you place a stake where you would like the trees to be placed and we will set them next to your planting location. To have your trees delivered please contact us for a delivery estimate. 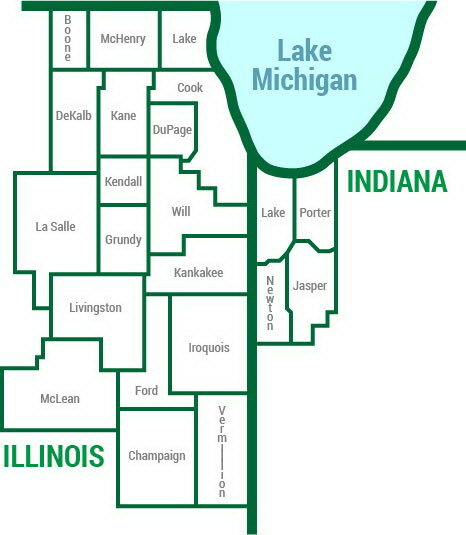 Do you deliver outside of Illinois? If you are outside of Illinois or Indiana and have a large amount of tree you would like to purchase. Please contact us and we will be able to give you a customized quote. I have a fenced in yard, how do you access through the fence? No worries at all. We only need a 3 ft wide opening to access any location. Most standard gates or fences are at least 3 ft wide. We can normally just use your standard gate opening to access your fenced in yard. Can I plant my tree where another tree was removed? We recommend planting at least 5-10 ft away from the old stump if possible. We understand that this may not be possible, so as long as you are not planting directly on top of the old stump we should be able to plant the new tree. We do ask for your flexibility with this. Every location is different and if we run into roots that we are not able to remove with our small equipment, we may not be able to plant directly where you are hoping. We ask that you try to go at least 1-2 feet away from the middle of the old stump. Do I have to call J.U.L.I.E? It depends. If we are installing your trees then we will take care of this for you. If we are just delivering your trees and not installing them, then you will need to contact J.U.L.I.E. If you are having your trees delivered only Click Here to request J.U.L.I.E. locates. What happens if I don't like one of the trees when you get here? First of all, that won't happen. You will not find any of the trees unsatisfactory, all of our trees are extremely high quality, large caliper trees hand selected by the actual growers, direct from the nursery. If for some reason this were to be the case, then we would take the tree back and you would not be charged. In addition, you are welcome to make an appointment to come out to our holding yard and pick out the trees yourself. Do you have to drive equipment in my yard? Our professional planting crew may choose to use a small Toro Dingo walk-behind skid-steer to assist them in planting your trees. This is a small, lightweight, turf-friendly device that will not cause any damage to your property. If you absolutely do not want any equipment in your yard, please tell us and we will make sure to comply. Click here for a video of the tree planting process and the Toro Dingo Walk-behind. How long will it take for me to get my trees? That depends. Typically, your trees will be installed within 2-4 weeks of ordering. Planting dates range in season from about May 1st to December 1st, depending on weather. While we can only plant during certain seasons, feel free to purchase your trees at any time during the year...don't worry we won't forget about you. Here at iTrees.com we are 100% committed to the absolute satisfaction of our customers. Feel free to give us a call, email us, or leave a message on the contact us page and we will get back to you as soon as possible. We have a variety of large caliper, locally grown shade, ornamental, specialty trees, and evergreen trees. To see everything we have simply click on Shop Trees at the top of each page. Where do you get your trees? Do you do tree removal or other landscape services? Other landscaping projects may be taken on a case by case basis. If the tree(s) you need to be removed are over 3" caliper or larger then we absolutely cannot remove them. We do not carry the correct insurance, or have the correct equipment; however, we may be able to recommend a large tree service. Please call us at 815-448-2138 or email to discuss your needs. How big are the trees I am getting? 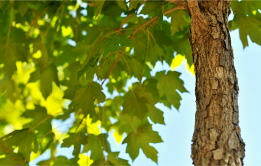 The first kind of trees are called "Single Stem or Single Trunk" (they can also be referred to as "Tree Form"). These are basically your "standard" trees which will have a single trunk.. An example of these would be your standard shade trees- for example, a Maple or Honeylocust. These trees are measured by caliper- which is explained below. Anytime you see a tree that is measured in caliper, you know it will be a "single stem" tree! The second type of tree will be "multi-stem clump" (they can also be referred to as clump, clump form, shrub form, or just multi). These trees have multiple trunks. An example of these would be River Birch or Serviceberry; however, some of the trees we grow in both "single stem" and "multi-stem clump", for example, we offer the Red Sunset Red Maple in both tree form and clump form! Multi-Stem clump trees are measured and sold by their height before they are dug. The only exception to this rule is evergreen trees, which are measured by their height but are usually "single trunk" trees. As previously mentioned many of the trees on the website are "single stem", and they are measured by caliper. The caliper of a tree is measured by the thickness (diameter) of the trunk measured 6 inches above the ground, so a 2” caliper tree means that the trunk is 2 inches across. The height ranges depending on the tree. Typically, a 2” shade tree is going to be much taller than a 2” ornamental tree, because their height now is relative to their mature height. Here are some examples using approximate heights. Also, Click here for our Job Project Gallery. A clump tree or evergreen tree is measured by height. 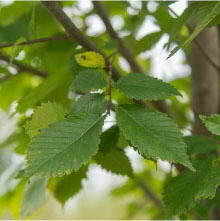 A clump tree, like a River Birch, is a close group of trees with multiple trunks. A 10-12’ Tall Clump River Birch means that the size of the tree will range from 10 to 12 feet tall at the time of planting. 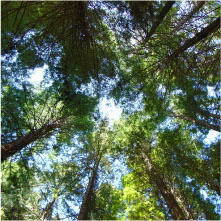 With evergreen trees, we measure to the top cluster of branches, not to the very tip of the highest needles. This ensures that you are getting a tree that is truly the height you are looking for. An 8ft Tall Douglas Fir means that the tree will be 8ft Tall to the top cluster of branches. All trees are measured from the top of their root ball, meaning they height we state is the height of the tree after it is planted in the ground. Is there a discount for ordering multiple trees? You're in luck! We have a great quantity discount program. 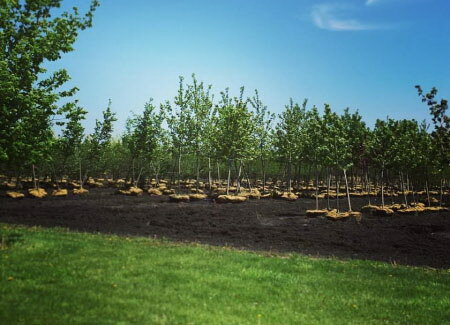 When you order 2 trees to be planted at the same time, you will get $50 off your 2nd tree. For every tree, after the 2nd one that is purchased, you will receive $25 off each tree. After ordering 5 trees your discount pumps up to $50 off per tree! Can I talk to a physical person before ordering trees? Of course. Please give us a call at 815-448-2138 to discuss any questions/comments/concerns. If emailing is easier feel free to fill out our Contact Us form. Please check out our warranty options by clicking here. All of our installations come with our 1-year iTrees.com Assurance™ Full Replacement Warranty. If you choose to have your trees delivered but not installed then our trees will be covered by the iTrees.com Assurance™ Standard Warranty. There is also the option to extend the iTrees.com Assurance™ Full Replacement Warranty to 2 year or 3 years. Can I pick out my trees? Absolutely. Although our trees are of the absolute highest quality and hand selected for us by local nurserymen, some customers may want to select their trees themselves. Please send us an email at info@itrees.com to schedule a tagging appointment. Tagging appointments will usually be the first to second week of May each year. Our schedule is constantly changing, but typically we are available Monday-Friday 9:00 AM - 5:00 PM. Weekend or weeknight appointments can be arranged as well but can be much more difficult to schedule, and there may be a longer wait. Trees are tagged at our outdoor holding area, in the field. Rain can cause excessively muddy conditions, and appointments may have to be rescheduled due to weather. Please dress appropriately and bring rubber boots in case of wet conditions. We also suggest bringing an extra pair of shoes to wear home in case your boots get too muddy. Do you have a physical location where I can look at trees before I buy? 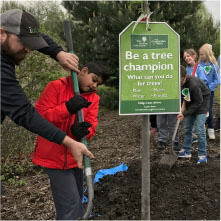 If you would like to physically see each tree before having them planted, you are more than welcome! 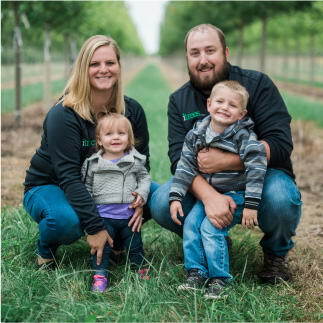 Our holding yard is conveniently located about 30 min southwest of Joliet, and customers are more than welcome to pick their own trees directly out of the field, by appointment only. No matter where you are coming from, our customers always enjoy the pleasant drive through the country. Bring your whole family, and an iTrees.com representative will be happy to give you recommendations for nearby restaurants, state parks, tourist attractions, or a tour of some actual working farms. If you come at the right time of the year, you may even leave with some fresh sweet corn straight from the field! Can someone come to my home to help me before ordering? 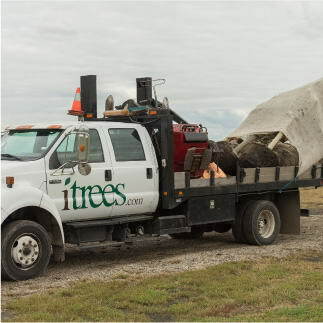 If you are looking at placing an order for a larger amount of trees and need help with your property on placements or suggestions, please CONTACT US and we will schedule a time for an iTrees.com representative to come out and take a look. Will you do a full landscape design for me? It depends. We do have a professional landscape architect on staff; however, sometimes we are just too busy to take on extra projects. Please give us a call at 815-448-2138 to discuss your project in detail and find out about our availability for such projects. Additional fees will be assessed for any landscape design work that is added onto a project. Where do I put the trees in my yard? Also, click on Shop Trees to find the different tree species at the top of your screen to get more info and pictures on each particular tree. This should be a great start, but if you still need help just give us a call. What trees would look good in my yard? Also, click on Shop Trees to find the different tree species at the top of your screen to get more info and pictures on each particular tree. This should be a great start, but if you still need help just give us a call or email. Do I need to do anything to my tree for the winter months? During the winter we suggest wrapping your single stem trees with Tree Wrap to protect them from "Frost Crack". You can purchase Tree Wrap here. Dewitt Tree Wrap. You can also purchase this at your local hardware store. Tree wrapping prevents trunk cracking. Trunk cracking (aka frost crack) commonly happens during freeze/thaw cycles. When the ground thaws, your trees soak up water into their trunks, the weather then changes to freezing temperatures and the water in the tree’s trunk freezes and then expands, causing the crack. Tree wrap will protect the trunk and help prevent cracks. Place tree wrap starting at the end of November and keep it on until around the end of March. When placing the wrap treat it like an ace bandage. Starting at the base of the tree near the ground, overlapping as you go up to the first branch. You won't need to worry about watering your trees until the beginning of April when the weather seems to have dried out a little more. How often do I need to water my trees? After you order your trees, you will receive the iTrees.com Tree Care Instructions. This will contain all the information necessary to care for your trees. Most trees need to be watered once a week, on a slow trickle of the hose, for about an hour, through the first full year. You will want to be sure to water your trees immediately after they are planted.